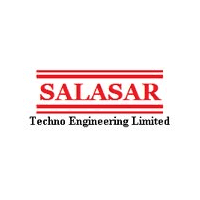 Salasar Techno Engineering Limited is a provider of customised steel fabrication and infrastructure solutions in India for Telecommunication Towers, Transmission Towers & Substation Structures and Solar Module Mounting Structures. The objective of the Company is to supply customized, high-quality material to its impressive and ever-growing clientele. STEL provide 360 degree solutions by carrying out engineering, designing, fabrication, galvanization and deployment. Their products include Telecommunication Towers, Power Transmission Line Towers, Smart Lighting Poles, Monopoles, Guard Rails, Substation Structures, Solar Module Mounting Structures and Customized Galvanized & Non-galvanized steel structures. Their services include providing complete engineering, procurement and control for projects such as Rural Electrification, Power Transmission Lines, and Solar Power Plants. STEL commenced its manufacturing / fabrication activities in the Financial Year 2006-07 when first unit became operational. With the addition of a second unit in 2008-09, their Company now provides all kinds of steel fabrication and infrastructure solutions in addition to Telecom Towers and its projects have been executed in all kinds of geographical locations nationally. In addition to manufacturing/fabrication, company also undertake civil foundation work, erection of towers both telecom & transmission at site including painting. They have also undertaken EPC Turnkey projects for solar mounting structures for their clients. STEL has a strong customer profile and caters to the leading names in India. These relationships have allowed them to carry out massive touchstone projects such as establishing Transmission and Substation for U.P. Power Transmission Corporation Ltd, Tata Power Delhi Distribution Ltd., Unitech Power Transmission Ltd., executing orders of Telecom Towers including erection of towers for ATC India Tower Corporation Pvt Ltd, Indus Towers Ltd, ATC Telecom Infrastructure Pvt Ltd, Bharti Infratel Ltd, Reliance Jio Infocomm Ltd, Tower Vision India Pvt Ltd, Viom Networks Ltd, and supplying Solar Mounting Module Structures for Jakson Engineers Ltd, Prayatna Developers Pvt Ltd, Welspun Renewables Energy Pvt Ltd., Insta Power Energy Efficiency Pvt Ltd etc.